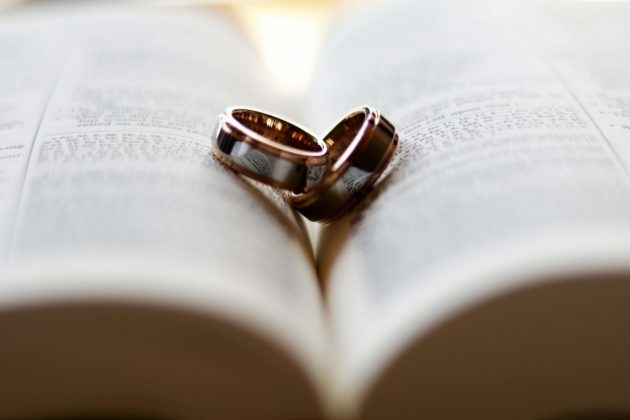 If Jews Are People of the Book, Why Aren’t We Studying Intermarriage? Jewish sages teach us: “Carve out a time for learning” (Pirke Avot, 1:15). Jews pride themselves on high rates of post-baccalaureate educational achievement, professional degrees, and the associated prestige and success that go with them. Yet when it comes to Jewish intermarriage and interfaith families, we think personal experience or what we read in the Forward is sufficient intel. The uptick in news coverage about intermarriage and officiation at interfaith nuptials in just the past few weeks, the proposal by LabShul’s Rabbi Amichai Lau-Lavie and related rebuttals, including one by the Conservative movement’s Rabbinical Assembly executive vice president Rabbi Julie Schonfeld, tell us that there is a great need in the Jewish community to fully understand this social phenomenon in a deep and meaningful way. But understanding requires education and education is, unfortunately, socially constructed and gendered. The gendering of Jewish education extends to education about intermarriage. Yehuda Kurtzer, president of the Shalom Hartman Institute of North America, asked in a recent Facebook post what people knew or thought about the relationship between the rabbinate and attitudes towards intermarriage, wondering aloud in cyber space why in his estimation “the loudest anti-intermarriage voices are men.” The query netted dozens of responses, many of them insightful about the role of generation, denomination, sexism, power, misogyny, otherness, conversion, and more, which in turn spawned more replies. According to the 2015 survey of Conservative rabbis by Big Tent Judaism (now closed), more female than male rabbis have attended an interfaith wedding, would officiate if the Rabbinical Assembly changed its policy against doing so, and accept patrilineal descent. This survey, while limited to one denomination and those who participated, suggests that men may outnumber women among anti-intermarriage advocates. Although the question about whether there is a gender bias in the rabbinate about intermarriage is worthwhile, more important for the sake of the Jewish future is to look at who is actually educating themselves (mostly women), and to ask: why? Time and again, it is women who are showing up at conferences and in classrooms to learn more about intermarriage so as to better teach, support, and engage interfaith families. In early June I had the privilege of teaching the 20th Summer Institute for the Friedman Commission for Jewish Education of the Palm Beaches in Florida. It was the first time that this community publicly discussed the topic of intermarriage and the organizers had high hopes for a great turnout. While the three-night conference was well attended, I was disconcerted but not surprised that all 22 registrants were women with one exception. Likewise, the first cohort of Interfaith Families Jewish Engagement (IFJE) fellows in the program by the same name at Hebrew College, which I direct, is two-thirds female, one-third male. This small group reflects the larger picture of students enrolled in the Shoolman Graduate School of Jewish Education and Jewish Studies: 72 percent women and 28 percent men. Education is not a high-paying field; in fact it is sadly undervalued, which at least partially explains why fewer men participate than women. Thirty years ago, the Jewish Telegraphic Agency reported that Jewish men were more likely than Jewish women to intermarry and women of other faith backgrounds were more likely than men to convert to Judaism. The late sociologist Egon Mayer, author of the original study and the book Love and Tradition, and a pioneer of Jewish outreach, also found a correlation between education and conversion, with converts tending to have more education than non-converts. Jewish women have “caught up” with men when it comes to marrying out in some age brackets, but Jewish men have not come even close when it comes to pursuit of post bar mitzvah Jewish education. The assumption that they must be omniscient without actually learning influences the perception that men working in the Jewish community— including rabbis serving congregations, those who accompany couples on Honeymoon Israel trips, and outreach organization staff—somehow already possess the knowledge to do their job. Yet they don’t, because they—like most people—have not been taught the innovative skills to engage interfaith couples and families effectively in Jewish life. Engagement professionals need to carve out more time to learn from colleagues and mentors about the relationship between intermarriage and gender to be able to empower intermarried Jewish fathers to raise Jewish children equally effectively as intermarried Jewish mothers; about the influences of culture and race on interfaith marriage and identity; and about denominational similarities and differences. Jewish institutions and organizations that seek to be truly welcoming, inclusive, and egalitarian must prioritize learning and professional development outside their own walls. We need to support our communal leaders—especially men—studying intermarriage. Keren R. McGinity is the inaugural director of the Interfaith Families Jewish Engagement program at Hebrew College’s Shoolman Graduate School of Jewish Education and the founding director of the Love & Tradition Institute. She is affiliated with the Hadassah-Brandeis Institute and teaches American Studies at Brandeis University. Her publications include Still Jewish: A History of Women & Intermarriage in America (NYU Press, 2009) and Marrying Out: Jewish Men, Intermarriage, and Fatherhood (Indiana University Press, 2014).